Finding a reliable and exceptional luxury crossover like the 2018 BMW X3 can elevate the experience of driving around the streets of the Westchester County, White Plains, and New Rochelle area. If you’re currently in the market for the right vehicle and the BMW X3 has caught your eye, you came to the right place. Our team at BMW of Westchester is here to give drivers a closer look at this stylish and sophisticated luxury crossover. Keep reading our 2018 BMW X3 review to learn more about what this vehicle offers and what it can do on the road. The 2018 X3 offers a 2.0-liter BMW TwinPower Turbo 4-cylinder engine. This impressive piece of equipment delivers 248 horsepower and 258 lb-ft of torque. The engine is paired with the 8-speed STEPTRONIC Automatic transmission that provides several drive modes to accommodate the driver’s desired performance. There’s the ECO PRO to boost efficiency, SPORT to increase the powerful performance, and COMFORT to get the best of both modes while on the road. The BMW X3 interior is outfitted with an impressive array of entertainment and technology features to add to the experience of the drive. It has a 12-speaker HiFi sound system to deliver high-quality audio entertainment from the HD Radio™ or CD/MP3 player. The iDrive 6.0 touchscreen allows you to select your audio entertainment or phone contacts that you can call through the Bluetooth® system. This luxury crossover also includes Pre-wiring for SiriusXM®, allowing you to enjoy entertainment from your subscription in your vehicle. The BMW X3 interior offers a great deal of space for its 5 passengers. It also has SensaTec upholstery that flawlessly blends style and comfort. The driver’s seat features a 10-way power adjuster, allowing you to customize your seating position for your desired level of comfort. This seat also has a memory system that allows you to easily readjust the seat to your preferred settings if you weren’t the last person to drive the car. This luxury crossover has an impact sensor that provides post-collision assistance by cutting off the fuel flow to the engine, unlocking the doors, turning on the hazards, and deactivating the battery to provide additional safety. Drivers receive protection from the advanced front airbags, seat-mounted front side-impact airbags, and front and rear head protection system. The vehicle even features the BMW Assist eCall™, which has Enhanced Automatic Collision Notification and Emergency Request. This feature can help you get assistance after a collision. Now that you’ve read our 2018 BMW X3 review, you’re a little more acquainted with this vehicle and what it offers. You’ve gotten a sense of the BMW X3 interior, specs, and notable features. But the next thing you need to learn is what it feels like to take this luxury crossover for a spin. 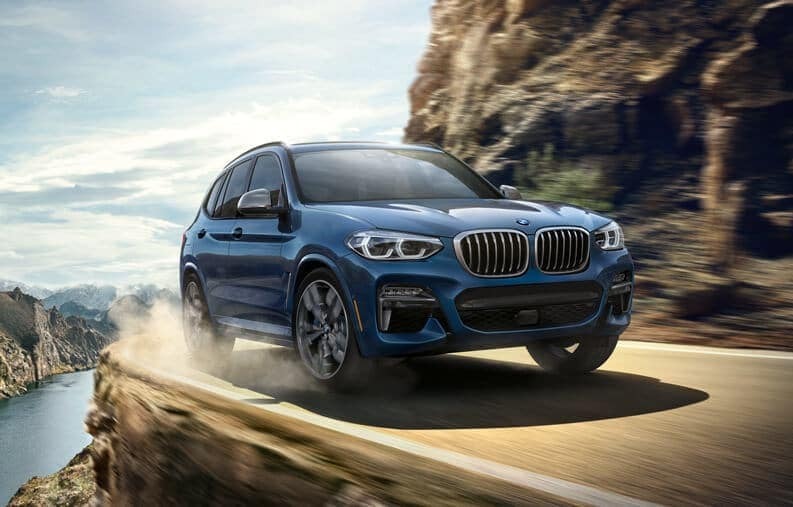 BMW of Westchester is proud to help drivers in Westchester County, White Plains, and New Rochelle learn more about the vehicles they’re considering. Schedule your test drive with us so you can see if the 2018 BMW X3 is the right choice for you.